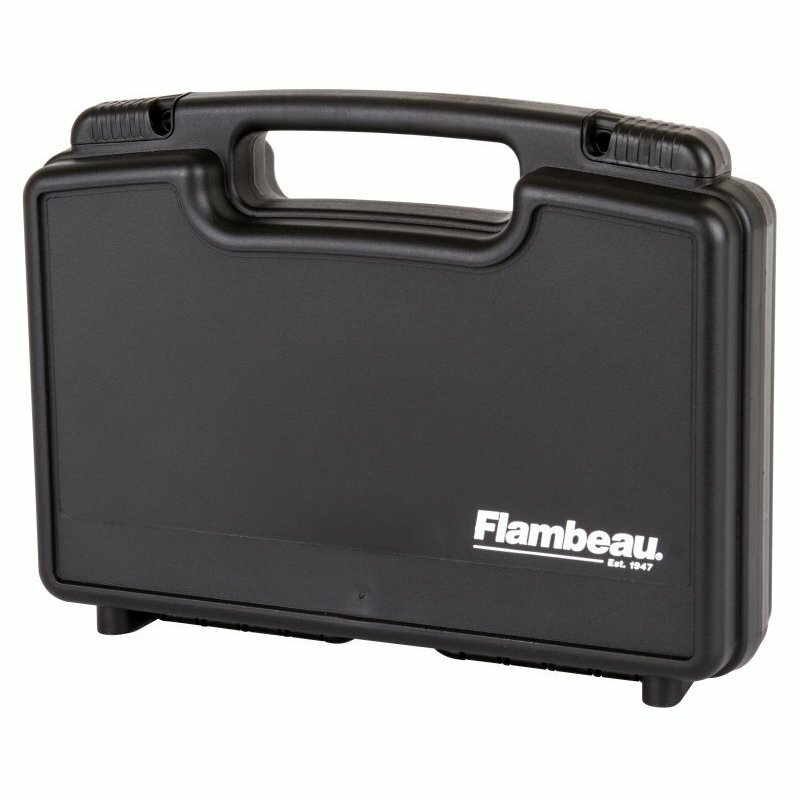 Protect your guns and shooting gear from the elements and prying eyes with the Flambeau Tactical Outfit Range Bag. 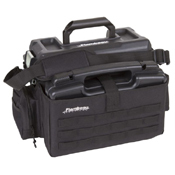 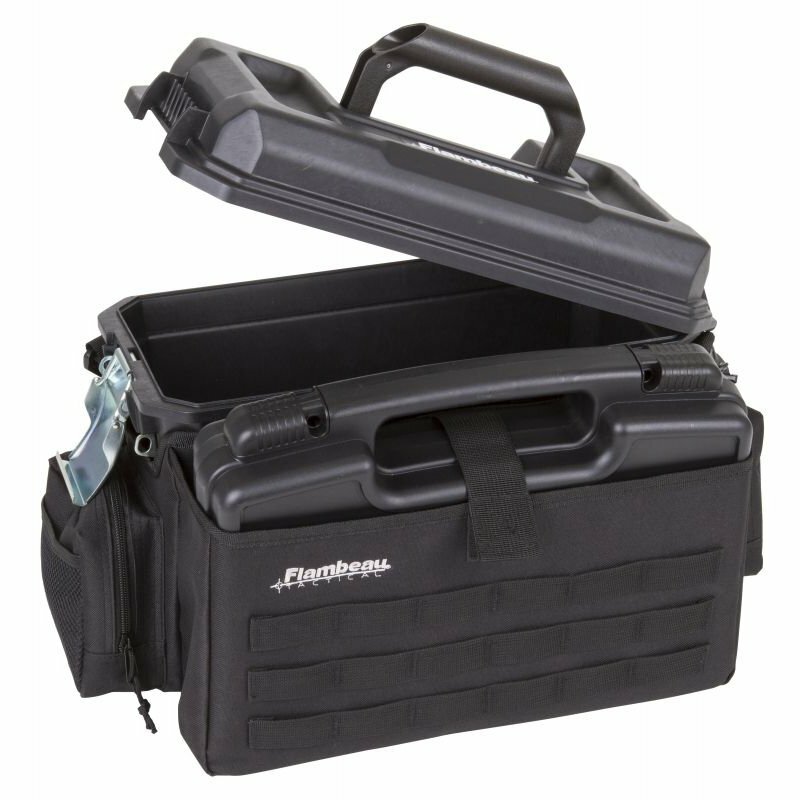 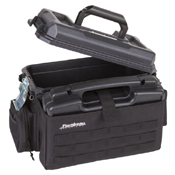 This combo pack includes a water-proof gear box for ammo and tools, a 14" Safe Shot Pistol Case, and a 600D nylon shoulder bag to hold everything together. 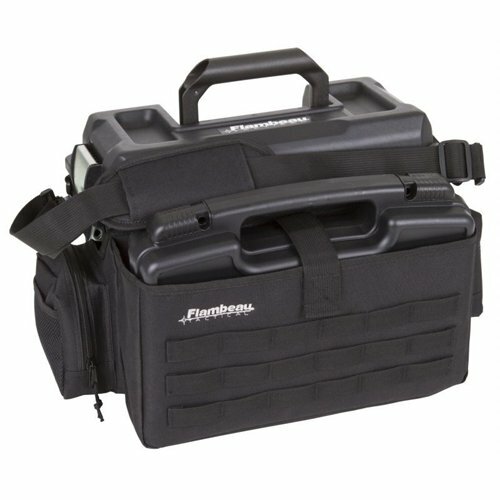 There are several exteior pockets, including a rear zipper slot that folds down into a mobile work/cleaning station. 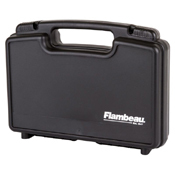 Measures 19” x 12.75” x 10.6”.